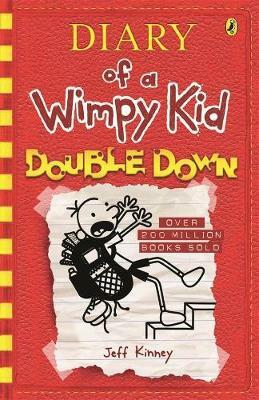 The latest book in the phenomenally successful Diary of a Wimpy Kid series by bestselling author Jeff Kinney will go on sale on November 1, 2016. One of the most anticipated books of the year, tens of millions of fans all over the world eagerly await this newest instalment-the el... read full description below. The latest book in the phenomenally successful Diary of a Wimpy Kid series by bestselling author Jeff Kinney will go on sale on November 1, 2016. One of the most anticipated books of the year, tens of millions of fans all over the world eagerly await this newest instalment-the eleventh book in the series. There are now more than 165 million copies of the books in the Diary of a Wimpy Kid series in print globally. Book eleven follows the enormous international acclaim of Old School, which debuted at the top of bestseller lists around the world and has remained at the top of the bestseller lists ever since it went on sale last November. Diary of a Wimpy Kid continues to dominate sales charts in 2016. Jeff Kinney is a #1 New York Times bestselling author and a five-time Nickelodeon Kids' Choice Award winner for Favourite Book. Jeff has been named one of Time magazine's 100 Most Influential People in the World. He is also the creator of Poptropica, which was named one of Time magazine's 50 Best Websites. He spent his childhood in the Washington, D.C., area and moved to New England in 1995. Jeff lives with his wife and two sons in Massachusetts, where they own the bookstore, An Unlikely Story.